- "A Pleasantly Understated Credit Sequence" has some instruments added, some drums are replaced with non-Sound Canvas versions. The mix is different and I wasn't quite happy with it, as the drums lack much power compared to the MIDI version, but I still wanted the extra instruments on the soundtrack CD. Thus I helped the drums a bit with some small-band expansion. - "Doug, The Moleman" is slightly longer and also has some instruments replaced. - "King Of The Creatures" is a full CD quality version of the 22050 Hz mono version from monster.sou. - "Bigfoot Shuffle" has ambient noise added and is partially played in a different key for some reason. It is also shortened a bit, eventhough the ambient noise is going on for quite a while. I mixed the missing part from the MIDI version right into the ambient noise, which works quite well. Monkey Island 2: LeChuck's Revenge: This one is a bit different as it is a slightly remixed version with Sound Canvas drum set used. The reason I did this for is because the MT-32 has the drums a bit weak imho, lacking the dynamics it could use. This seems to be a frequent problem in MT-32 music, probably because musicians drive the instruments to the limit, thus gaining a good quantization noise ratio, and then being forced to use the most dynamic instruments, the drums, conservatively, as the MT-32 would clip otherwise which would produce very audible overflow crackles. The MT-32 is well known for both, quantization noise and overflows. As the Sound Canvas drum samples are very similar to the MT-32 you won't notice much of a difference, except for a more dynamic performance. All the melodic instruments are truthfully kept, except for Jojo playing the Piano, which is also Sound Canvas. I recorded all tracks from the DOS executable since ScummVM seems to have the reverb set wrong in some places. The DOS version suffers from slowing down the music flow slightly during room changes, which I corrected digitally during the mastering. In addition to this, I used "Governor Phatt's Room Remix" and "Underground Tunnels Orchestral Remix" (192 kbps version) from HighLand Productions, as those perfectly capture the original scenes, imho. Both soundtracks are approximately 2 hours. Wow, that Sam & Max sample is amazing (the Monkey Island one is pretty good, too). It really goes to show how good true MIDI music can sound! So, um...full download links? Thanks! Okay, I will make torrents of them available. Might take a few days before I find the time, though. Well, you don't have to put up the full soundtracks if you don't want to. I just thought they were already up, so that's why I asked. Still, if you wanted to do it in your spare time, that would be great. I've never even heard of Zak McKracken and the Alien Mindbenders, sad to say (unlike it's more famous predecessor Maniac Mansion). That's a very nice remastered version of the first link, though. The Sam and Max soundtrack is online. SWEEEET!!! Thank you, Marek! I will definitely seed! P.S. I'm in the middle of playing Sam & Max Season 1: Episode 4, great throwback to the days of LucasArts and Sierra Online. For anyone who hasn't tried it yet, it's free and highly recommended! I am seeding that indefinitely. Does anyone use the Yamaha MU-series sound modules? Which would be good for GM games? I found here a list: http://en.wikipedia.org/wiki/Yamaha_MU-series , but there's only information about few of them. GL1zdA wrote: Does anyone use the Yamaha MU-series sound modules? Which would be good for GM games? I found here a list: http://en.wikipedia.org/wiki/Yamaha_MU-series , but there's only information about few of them. The MU10XG is the only one likely to have been affordable to a non-musician and has the same specs as a DB50XG. It will give a good sound, but any of the MU series will do justice to game midi. Have MU-10 and MU-15 modules in my collection. Both sounds just identical to DB50XG in GM mode while playing in games. Of course S/N ratio is much better in comparison with majority of ISA soundcards DAC's. aleksej, how do you connect the modules, soundcard and speakers? I mean, how do you get both music and SFX? Do you use a external mixer? On my primary rig, that described in my signature i not use these modules now because awe32 and santa cruz hosting daughterboards. All sound sources (three soundcards, covox and gemtek radioman serial) goes to Midiman Multimixer 10. On second retro machine i connect midi module output signal to input on AWE64 Gold or wise versa. Both have quite noiseless S/N ratio in their inputs. I made an ISA Soundcard Overview that might be suitable to add to this stickified topic. It is pretty big and technical. Also it is not yet complete. 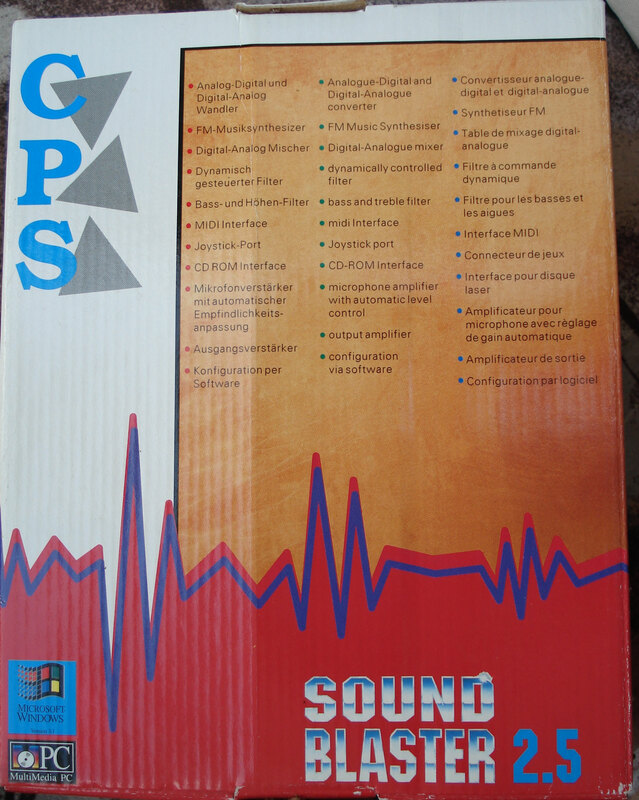 Data obtained from many datasheets, internet articles and pictures as well as some actual soundcards. Suggestions and Corrections are welcome. EDIT1: Thanks for the suggestions elianda! I added Aztech, and expanded AdLib and Guillemot. The spec sheet of the CS4236 does not mention 64kHz, but 48/50kHz max? LPT port devices and such are not ISA, but they can be included anyway of course. I know about the Synrise archive, it is a good database, but often about quoting advertising texts instead of listing the Chipsets. Surely there are plenty of soundcards missing from the list. Actually it is quite impossible to get info on every card made, as some are very obscure and long forgotten clones. I know some chipsets better than others, I am no expert on Analog Devices / Avance Logic / Opti / Miro / GUS / Orchid etc, so if someone knows more then just add them, and PM the updated list or something. EDIT2: Added some more, so v1.02 is up. EDIT3: v1.03 is up! Just some layout changes and typo fixes. EDIT4: v1.04, using the suggestions by swaaye, added Gallant. EDIT5: v1.05, some updates, added Zoltrix. EDIT7: v1.06b, adjusted Turtle Beach, added Wordpad version as requested. EDIT8: v1.07, added Shuttle, adjusted Yamaha, OPTi, Ensoniq, etc. EDIT9: v1.07B, added Dream, and some small updates. EDIT10: v1.07C, revised Aopen and completed AdLib. EDIT11: v1.08, Added some ESS, Crystalake and Yamaha. Last edited by gerwin on 2013-8-23 @ 00:15, edited 18 times in total. CS4236 can go up to 64 kHz. The early GUS classic has no mixer. Don't forget that there are also SoundBlaster cards that are not from Creative. The situation must have been somehow strange in the days, I guess the original SB was so successfull, that Creative couldn't produce enough. So they allowed resellern to relabel compatible cards of third party companies as SoundBlaster. But they stopped this shortly after again (my guess is also because the third party cards were better in some aspects than the originals). The card is a relabelled Sound Galaxy NX II (written below the sticker), the badly overpainted FCC-ID suggests this already. This brings me to the fact, that alot of these cards are missing in your list. Wow, that's a very nice list! I'm sure it will come handy for many retro-gaming/hardware nuts. SB16 DSP v4.16 doesn't have the "hanging-notes"-bug, like DSP v4.05. However, cards equipped with v4.16 don't have a WaveBlaster header, only the external (joystick port) MIDI interface. 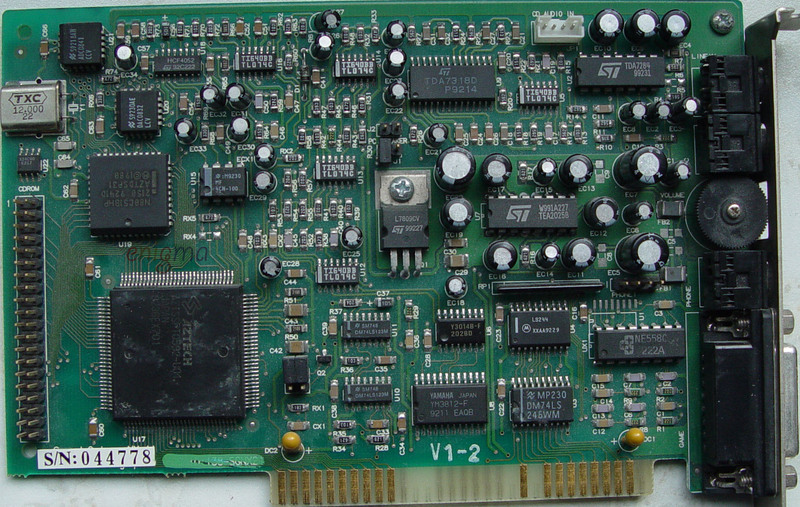 All GUS classic cards have eight DIP memory sockets and can be upgraded to 1024 KB RAM. Revision 3.7 and higher come with an onboard analog mixer, earlier revisions just have a "mute" function for CD/Line-In/Mic channels. Yeah that's a nice guide you have going. *SoundscapeDB: available in both 2MB and 1MB. Probably just a revision.
" Change is the only constant. It is where growth lies and new miracles begin. Don't fear change; embrace it." I assume you mean the one I attached to this post. Edit: Many thanks for including a Wordpad attachment version - now I can download it, and easily view it. Good job!